Home › Business Relationships › Collecting Medical Debt — How Aggressive Should You Be? Collecting Medical Debt — How Aggressive Should You Be? A recent NYT article (2/13/12, pp. 1 & 17) points out that many states have wrestled with aggressive debt collection by hospitals in recent years. Like New York, several passed laws curbing hospitals’ pursuit of unpaid bills, including IL, CA, & MN. Hospitals are not legally barred from seeking judgments or liens, but must first offer an aid application, help the patient complete it, and not act while it is pending. Instead, many hospitals turn to collection agencies, and sue when that fails. The unpaid bills—typically reflecting much higher rates than what insurers pay—are then treated as the equivalent of charity care. Collection of medical debt is a major consumer issue. A study by the Federal Reserve Board found that nearly half of all collection actions appearing on consumer credit reports are for collection of unpaid medical bills. 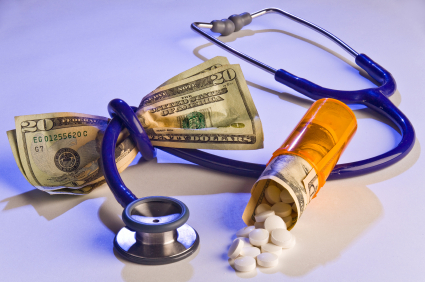 Medical debt is different from other forms of debt, because it is usually incurred accidentally or faultlessly. People do not plan to fall ill or hurt themselves, and medical bills are often unavoidable. Medical debt is often treated with more sympathy than other kinds of debt, resulting in advice to patients that they should not try to convert it to credit card debt. Does the debtor own property? Were the injuries the result of an auto accident that could be covered by the other driver’s insurance? Keep a copy of all correspondence relating to the payment collection attempt. If you send any correspondence, always send it through the post office via registered mail. Setting up payment plans will improve your chance for successful collection. Keep in mind that many people are embarrassed over not being able to pay a debt owed. Be sympathetic to the situation, but remain firm. Remain calm and polite when dealing with the client. Losing your temper can result in harassment charges being filed against you, making it more difficult to collect payment on the medical bill in the future. For most medical debts, there is a statute of limitations. Depending upon the state, the period of time can vary from five to 10 years. Check with your local State’s Attorney General to determine the statute of limitations for your state. ‹ Unexpected Benefit of Attending DBA! Sometimes its necessary to get aggressive to get the complete compensation or debt from medical insurance companies as well as hospitals.